Single-ply membranes are factory-manufactured sheet membranes. They generally are categorized as either thermoplastic or thermoset. Thermoplastic materials can be repeatedly softened when heated and hardened when cooled. Thermoset materials solidify, or “set,” irreversibly after heating. 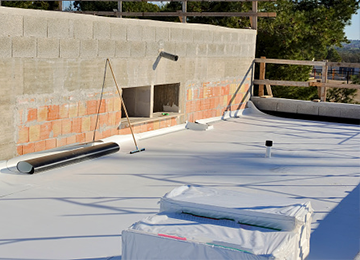 Single ply membranes commonly are referred to by their chemical acronyms, such as ethylene propylene diene terpolymer (EPDM), Polyvinyl Chloride (PVC) and Thermoplastic Olefin (TPO).